The Polish government have told the EU Commission that they will ignore a ruling that allowing the government to appoint judges to its constitutional court is illegal. In our dialogue with the European Commission, we have assumed that our cooperation will be based on such principles as objectivism, or respect for sovereignty, subsidiarity, and national identity. However, we have gradually come to realise that interferences into Poland’s internal affairs are not characterised by adherence to such principles. On top of that, such actions are largely based on incorrect assumptions which lead to unwarranted conclusions. So we regret to note that the Commission Recommendation is an expression of incomplete knowledge about how the legal system and the Constitutional Tribunal operate in Poland. 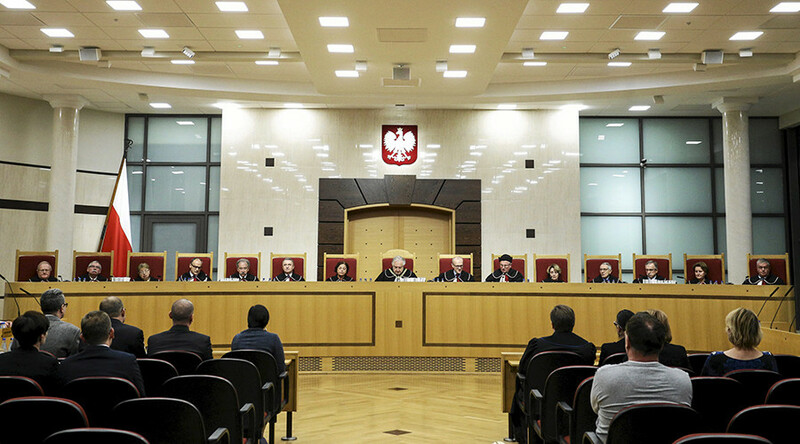 The idea of the government appointing the constitutional court judges who will decide if what the government does is constitutional is something that would seem quite alien in many countries but clearly not in Poland. This sort of fundamental difference of opinion on how a country and its legal system should be run is exactly why the EU is doomed to failure.